The word caviar originates from the Turkish khavyar, first appearing in English print in 1591. Dating back 250 million years to prehistoric times, the sturgeon has been a part of the Middle Eastern and Eastern European diet for the majority of man's history. Caviar was once reserved strictly for royalty. Yet surprisingly enough, in America during the early nineteenth century, caviar was routinely served during free lunches in saloons. The salty flavor encouraged thirst and enhanced sales. At that time, America's waters were abundant with sturgeon, a resource that German immigrant Henry Schacht took advantage of in 1873 when he set up a business exporting caviar to Europe for the seemingly high price of one dollar per pound. Other entrepreneurs soon followed, and by the end of the nineteenth century, the US was the largest exporter of caviar in the world. 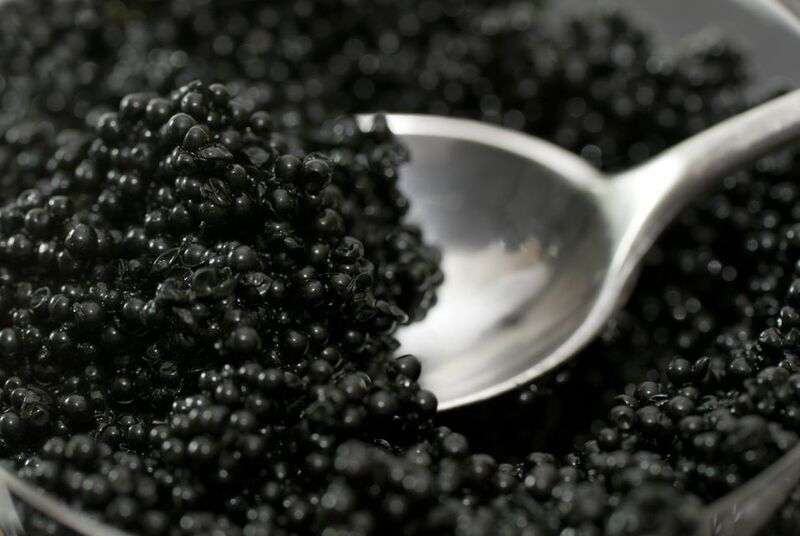 During this caviar boom, much of the harvest shipped to Europe was imported right back to the USA again, labeled as the more coveted "Russian caviar." Caviar from the rivers of Russia had always been considered premium. In 1900, the state of Pennsylvania issued a report estimating that 90 percent of the Russian caviar sold in Europe actually came from the US. As a result of the US caviar boom of the early 1900s, sturgeon was overfished nearly to the point of extinction. The sudden shortage caused a wild jump in the price of caviar, with the added result being most caviar labeled as Russian truly was imported from Russia. By the 1960s, the prices were so exorbitant that new sources of domestic caviar were sought. The Romanoff Caviar Company (originally established in 1859) turned to salmon roe (red salmon caviar), lumpfish, and later in 1982, whitefish (known as golden whitefish caviar) as more economical sources than their imported counterparts.